In the late 1990s, the digerati were abuzz about business-to-business electronic marketplaces, or e-markets. Suppliers and customers could meet at a virtual agora, size each other up and negotiate prices for products and services. The e-market operator—often a neutral party—would wring out inefficiencies, grease sales and handle backend processing, all for a fee or small percentage of the transaction. E-markets like e-Bay were the digital disrupters and rising stars of their time, upending traditional markets. Now a similar scene is playing out over mobile apps. Startups such as Hailo and Uber are playing the role of matchmaker in a taxi cab industry that is wrought with inefficiencies. Hailo, a developer of an app running on iPhones and Android phones that let passengers virtually hail taxi cabs, started 16 months ago in London and has quickly grabbed the spotlight. 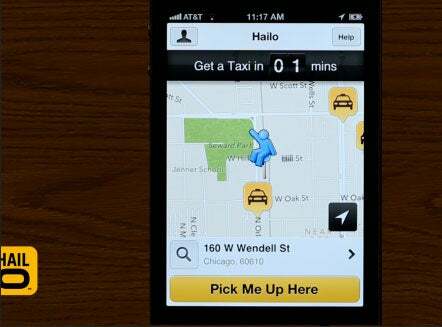 Last month, Hailo scored another round of funding, raising $30 million for a total of more than $50 million. Sir Richard Branson is also an investor. A similar and equally popular app called Uber (available on iOS and Android) connects passengers to drivers using town cars and SUVs instead of traditional taxi cabs. Uber is geared more toward those who are willing to pay an extra $10 or $15 to travel in style. Hailo is for folks who just need a cab. "Taxi drivers in New York and other major cities are spending 40 to 60 percent of their time cruising for fares trying to find you," says Hailo Founder and CEO Jay Bregman. "In aggregate, taxi drivers are leaving upwards of $40 million on the table every day, and customers are waiting a million hours every day. It's sort of this last bastion of inefficiency in the modern world." Here's how Hailo works: People hail a cab, pay the fare and review the driver straight from the app. Taxi drivers use the app to lock in fares. This disrupts the traditional way of hailing cabs off the street, which can be a frustrating and time-consuming ordeal. "With Hailo, there's a two minute average from tap to taxi," Bregman says. Today, there are some 23,000 independent, licensed taxi drivers operating in London—half of them are on the Hailo network. Hundreds of thousands of people have the app on their smartphones. The result is tens of thousands of cab rides per day via Hailo. Taxi drivers claim on average a 30 percent spike in business thanks to Hailo, Bregman claims. In London where fares are considered relatively high, Hailo charges taxi drivers 10 percent of the fare. In other cities where fares are deemed low, Hailo charges the passenger anywhere from $1 to $1.50. Hailo also charges $5 in you cancel a pickup. Hailo operates in nine cities, albeit four of those cities (New York, Barcelona, Madrid and Tokyo) have regulatory hurdles before taxi drivers can accept fares via Hailo. Like e-markets of yesteryear, Hailo's biggest challenge is filling its network with both passengers and taxi drivers to make its service worthwhile for either party, known as liquidity. Most companies facing liquidity challenges start out with a handful of suppliers or even a single supplier, and then attempt to woo customers—much like a traditional business. The thinking goes that if you fill your network with passengers, drivers will follow. But Hailo took the opposite tact, which Bregman attributes to Hailo's early success in London: He went after suppliers, or in this case, taxi drivers. The worst thing you can do is have too many customers and not be able to meet demand, which leads to poor customer experiences, says Bregman. Bad customer experience kills mobile apps. Instead, Bregman gave taxi drivers value that's independent of incremental fares, such as social networking features that let them communicate with each other and identify troublesome traffic areas. When customers initially try out the app, there's a good chance they'll have a positive experience, such as the two minute average from tap to taxi, which, in turn, will create greater demand. "You get to that liquidity where it affects passengers," Bergman says. "If you get the supply side right, then [customers] will love it. They will start to use Hailo rather than hailing taxis off the street. They will use more taxis and tell their friends about it."